What Happened to Ryan Bundy? What Happened To His Face? What Happened to Ryan Bundy’s Face? Why Is His Face Disfigured? Ryan Bundy is the elder son of Cliven Bundy, who is known for the “Bundy Standoff” and put behind bars in Nevada. His son now wants to run for Governor of the Silver State, but everyone has one question on their minds—what happened to Ryan Bundy’s face? If you don’t know who the Bundys are, then you might as well catch up on them because they might just become the first family of Nevada. Ryan Bundy has announced that he wants to run for Governor and plans on filing the papers in the third week of March 2018. Here’s what you need to know about the man. Before we get into the details of who Ryan Bundy is, we’re going to address the infamous Bundy Standoff issue. It involved Nevada law enforcement and Cliven Bundy over the matter of grazing fees. Cliven Bundy inherited his father David Ammon Bundy’s cattle ranch near Bunkerville, Nevada. He grew up tending to the livestock since he was eight, but the family got sucked into a legal battle for over two decades. The details of the dispute involve Cliven Bundy refusing to pay grazing fees. The cattle were apparently allowed to graze over lands owned by the federal government of Nevada (public lands) without permission. Cliven Bundy and the Bureau of Land Management (BLM) butted heads when the former failed to renew his grazing permit. The dispute started back in 1993 and Bundy was banned from grazing his cattle on the Bunkerville allotment in 1998 by the district court of Nevada. The government captured the livestock and temporarily closed the land in question. Meanwhile, other ranchers in the area came together to protest the banning and the BLM had to face a standoff. Some of the armed ranchers stood up against the BLM, but the division head managed to negotiate with Cliven Bundy. They said they would release the cattle that the government had rounded up and wanted to settle the issue once and for all. But Bundy continued to graze his cattle on federal lands without paying fees. In an unrelated arrest, Bundy was taken into custody in 2016 while he was traveling to Oregon, in support of his sons Ammon and Ryan Bundy. The two men were trying to take over the Malheur National Wildlife Refuge in Oregon. Cliven Bundy was arrested for conspiracy against the United States government. Weapons charges were also pressed against him. It was calculated that Bundy owed the government $1.0 million in unpaid grazing fees. He was released under house arrest by Judge Gloria M. Navarro. She dropped charges against Bundy and his sons, on the basis of careless turnover of evidence. Ryan Bundy is also a cattle rancher who took over his father’s business. But tragedy struck him when he was a little boy. In an interview back in 2014, Bundy said that he was seven when the accident happened. A Ford LTD ran over his head a week after his seventh birthday. The car actually stalled over his head, and the driver was unaware that there was a boy under his car. He hit the gas and spun the car with Ryan’s head still under the vehicle. The driver then realized that Bundy was stuck beneath, still conscious, and got off of him quickly. Although he stood up after the accident, he lost his balance and slumped to the ground almost immediately. It was later found out that along with a broken arm and a cracked skull, a motor nerve was severely ripped in Bundy’s head. A bone sliver from the cracked skull had cut the nerve which controls the left side of the face. 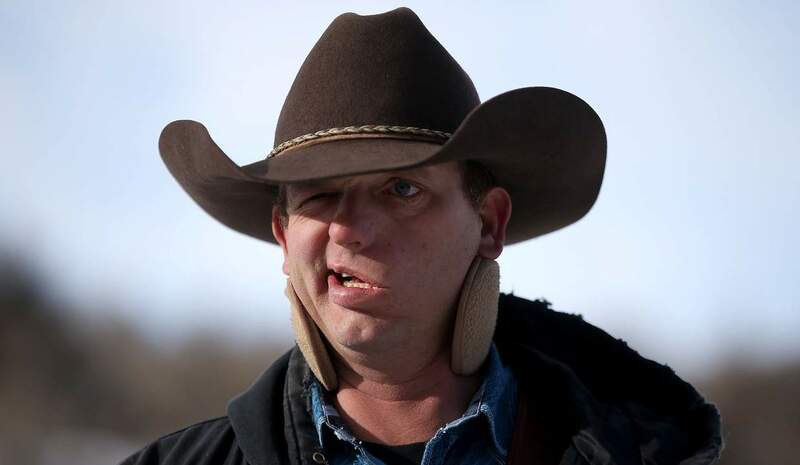 Ryan Bundy’s face was much worse before the bone fragment was found, which was eight years after the accident. He said his face sagged a lot, but now it’s doing much better. Also Read: What Happened to Trick Daddy’s Face? Ryan Bundy, now 45, is all geared up to put his family name in the country’s history books by announcing that he will run for Governor of Nevada.